President Jacob Zuma’s former head of VIP protection services, King Bhoyi Ngcobo, has been appointed as the acting divisional commissioner of Crime Intelligence. This follows the firing of Major-General Pat Mokushane earlier this week by National Commissioner Lesetja Mothiba, who also announced that he personally would be overseeing the functions of the division. Bhoyi, a former crime intelligence officer, was team leader for Zuma’s protection services in 2009 before being appointed section head in 2016. By MARIANNE THAMM. Less than a week after National Police Commissioner Lesetja Mothiba announced that he would be “overseeing” the SAPS criminal intelligence division “until further notice”, a surprise announcement was made on Wednesday that Major-General King Bhoyi Ngcobo has been appointed to act in the position “with immediate effect”. Mothiba circulated an emphatic memo on 17 August to the head of the DPCI, all divisional commissioners, all provincial commissioners, all heads of SAPS at Head Office, all deputy national commissioners as well as the Chief of Staff in the Ministry of Police, informing them all of his decision to fire acting head of crime intelligence, Major-General Pat Mokushane. He also announced that he would be heading the CI division in tandem with his role as National Commissioner. His hopes of assuming the dual role appear to have been dashed by the acting appointment of Major-General Ngcobo, regarded as one of President Jacob Zuma’s most trusted allies. Mokushane was sacked due to an apparent dispute with regard to his security clearance. Ngcobo, Zuma’s former bodyguard, was appointed acting head of crime intelligence collection in 2012 by then acting commissioner Nhlanhla Mkhwanazi. This was shortly after President Zuma replaced former National Commissioner Bheki Cele with Mkhwanazi. “General Ngcobo comes into this post with a wealth of policing experience after having served 20 years in the South African Police Service. Of these two decades of faithful service, General Ngcobo has also served the organisation within the Crime Intelligence environment,” reads Mothiba’s statement. 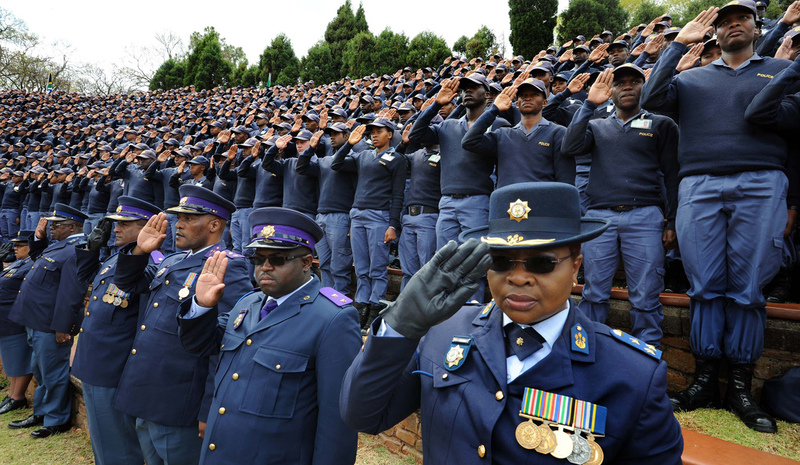 Crime intelligence is regarded as one of the most dysfunctional services in the SAPS and has for years been implicated in secret missions and operations and for liberally dipping into a covert slush fund. Former CI head, Richard Mdluli, has been on suspension since 2011 and is believed to still be active and have access to CI networks and support. Academic, criminologist and researcher Mark Shaw, in his recent book Hitmen for Hire – Exposing South Africa’s underworld, writes that CI is “widely regarded as dysfunctional”. “It is almost impossible to determine clearly the degree to which the state is protecting and sustaining criminal networks under the guise of information collection,” writes Shaw. Ongoing criticism of CI is that much of its focus is on political intelligence, leaving a wide open field for the actual criminals and crime to thrive in South Africa, often hand-in-glove with the politically connected. The tensions have endured for years, the organised chaos appearing to benefit those who require intelligence in order to remain relevant and in control. To this end, rival factions within CI are often enabled, with neither being able to dominate the other, kept in an apparent perpetual dance of power. Ngcobo is regarded by those who know him as “clean” and most certainly loyal to President Zuma. He was also accused of submitting a matric certificate which many within the SAPS alleged was fake.